Electricity has been in the news again recently, although not so much because of the many thousands of people still left without power as a result of the appalling flooding so much of the country has been experiencing, but more because of a certain PM"s television. Yes, few could miss the news that it seems whilst the country"s power boards are fighting a battle to try to repair massive swathes of the grid currently submerged beneath rising water, a few of them had some spare time to pop over to flick a switch in David Cameron"s house so he could carry on watching television. Now, television is certainly important. And it’s certainly powered by electricity. But most of us realise that when there"s a power cut the first thing you do is to check the trip switch. Not our beloved PM, who didn"t know about trip switches. It appeared to require three engineers to show him how to flick a switch in the cupboard. Oh well, at least thousands of people in Somerset can sleep at night knowing that our great leader can enjoy Britain"s Got Dancing On Ice Talent or whatever it is he"s into. But of course laugh as we may, there is always a line across which we don"t tread. Electricity after all can be very deadly. It"s also invisible, which makes it doubly deadly. As homeowners and business owners we tend to put a great deal of trust in electricians, and so it’s important to know that the job has been done properly, whether it’s an installation, a repair, an extension or simply a safety check. And it’s not just the major construction companies that require electricians to carry out important work. Any small extension or construction work could very well require an electrician to ascertain beforehand whether the work will be safe or will affect any wiring. You don"t want to knock a wall down and then find live wires dangling at head height, nor do you want to stick a drill in a wall and make contact with a cable. Which is why it’s important to make sure that you always get a qualified electrician involved. In fact health and safety inspectors will also be able to identify potential hazards or issues which could involve electricity, which is why so many people, including landlords, business owners and those in the construction and development industry call upon qualified, experienced health and safety inspectors every day to identify a wide range of potential issues, including electrical ones. If a qualified electrician is required as part of the work, then your HIS will be able to identify this for you, saving a lot of time, a lot of money, and a good many people"s health and lives. This week a very stark warning was given by the HSE regarding the dangers of electricity. 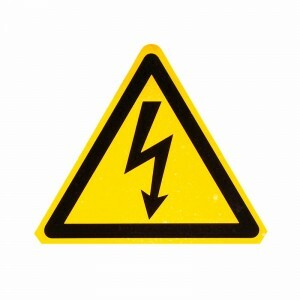 A Leeds based firm has been fined £6,500 for breaching the Health and Safety at Work Act 1974 after one of its trainee electricians received a major electric shock while using electrical testing equipment which was later found to be unsafe. The 22 year old required skin grafts and a long stay in hospital with severe injuries to his chest and arms. He hasn"t been able to work since. Not only was the testing equipment damaged, with exposed conductors, but the technician was working in an enclosure in which the power had not been turned off, and the emergency stop buttons were broken and unusable. If you have any concerns about whether the electricity supply or installation in your premises is safe, or if you believe that there might be a possibility that construction or renovation work could affect or be affected by any electrical equipment or wiring call one of our qualified, experienced health and safety advisors free on 0800 1488 677.